Gov. Chris Christie’s trip, intended as a trade mission, will give him a chance to show acumen on foreign affairs. A few days after Russian forces invaded Crimea, Gov. Chris Christie of New Jersey was asked at a confidential meeting of Republican activists how he would have handled the situation differently from President Obama. It was not, according to several of those in attendance, a tough or unexpected inquiry. But Mr. Christie, usually known for his oratorical sure-footedness, offered a wobbly reply, displaying little grasp of the facts and claiming that if he were in charge, Vladimir V. Putin, the Russian president, would know better than to mess with him. Now, as he considers a run for the presidency at a moment of spiraling global mayhem, Mr. Christie’s trip to Mexico this week is taking on a sudden urgency. Intended as a trade mission, it will double as a chance to demonstrate a level of acumen on foreign policy that has so far eluded him. Republican leaders are convinced that Mr. Obama’s second-term foreign policy — guided by an instinctive reluctance to use force and the mantra “don’t do stupid stuff” — has created an opening for a compelling Republican critique in 2016, and they are eager to find an authoritative statesman to deliver it. The question for the party is whether Mr. Christie, whose political ascent was powered by a lacerating, undiplomatic personality, could be the right messenger. Similar doubts about the international savvy of other potential Republican presidential candidates have prompted some to begin a crash course, seeking to catch up with the experience and prestige of a likely Democratic front-runner, former Secretary of State Hillary Rodham Clinton. For example, Senator Rand Paul of Kentucky just returned from a weeklong trip to Guatemala. The job training has produced some stumbles. Gov. Rick Perry of Texas invited eye rolls from Pentagon officials when he declared it a “very real possibility” that fighters from the Islamic State in Iraq and Syria had come across the Mexican border and into the United States. Busy with his day job and still enmeshed in a scandal about orchestrated traffic jams, Mr. Christie is, by his own admission, unschooled in the nuances of global affairs. He has already committed several foreign policy faux pas this year — by the unforgiving standards of Republican presidential politics, anyway. They range from the minor (omitting the word “Israel” from a speech before an influential Jewish group) to the more meaningful (calling the West Bank the “occupied territories” before another influential Jewish group). Audible gasps ensued in a Las Vegas ballroom, and an apology from Mr. Christie soon followed. 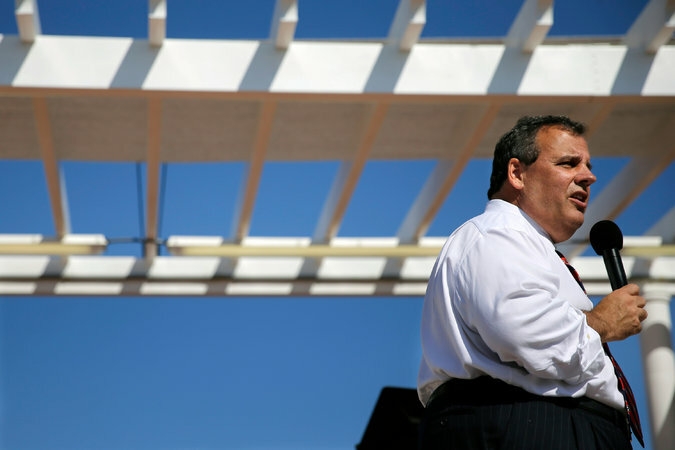 “This is something the governor has struggled with, because it’s so far outside his realm of experience,” said Brigid Harrison, a professor of political science at Montclair State University in New Jersey who has studied Mr. Christie throughout his tenure. He is, however, trying to become one. This summer, Mr. Christie finished “Reagan at Reykjavik,” Ken Adelman’s history of the pivotal 1986 Cold War summit meeting. He has struck up a friendship with former Secretary of State Condoleezza Rice, now an informal foreign policy tutor; is known to consult with former Secretary of State Henry A. Kissinger on major speeches that touch on world affairs; and is in contact with trusted Republican hands like Robert B. Zoellick, a career diplomat and former head of the World Bank. Yet Mr. Christie’s tutorials appear less organized or far along than those of potential 2016 rivals like Mr. Paul or Representative Paul D. Ryan of Wisconsin, and Mr. Christie has yet to articulate a distinct vision of America’s place in the world that strays from his party’s typical expressions of dismay with Mr. Obama and tributes to Ronald Reagan. The pillars of the Christie worldview, as gleaned from about a dozen speeches and public appearances, tend to rise from a simple observation: A high-functioning America at home, liberated from partisan dysfunction, exerts greater influence abroad. “What we say and what we do here at home affects how others see us and in turn affects what it is they say and do,” Mr. Christie said during a speech at the Ronald Reagan Presidential Foundation in 2011. He places tremendous value on the personal projection of authority, as evidenced by his suggestion — at the event held by conservative activists — that Mr. Putin would think twice about challenging him. “Foreign policy, in my view, is about human relationships,” Mr. Christie said at the March conference held by the American Enterprise Institute at a resort in Georgia. The event was closed to the news media, but The New York Times was given access to a recording of Mr. Christie’s remarks. At the event, Mr. Christie expressed confidence that his brand of resolute, no-nonsense foreign policy would have avoided the dilemma the United States faced when Syria deployed chemical weapons against its own citizens in the civil war. Governors, whose duties entail little meaningful interaction with foreign governments, have always struggled to convey global know-how, or even familiarity with the names of foreign leaders. But for a variety of reasons, mastery of foreign relations is likely to become a bigger-than-usual yardstick in the 2016 Republican presidential contest. There is a determination within the party to avoid repeating mistakes of the 2012 primary season, when the unwieldy field of candidates displayed an occasionally embarrassing lack of international knowledge. (Herman Cain declared that it was immaterial which leader ran “Ubeki-beki-beki-beki-stan-stan.”) By Election Day, polls showed that Mr. Obama was far more trusted on foreign policy than the Republican nominee, Mitt Romney. And there is the Clinton factor. Republican operatives said Mr. Christie had time to catch up, and they pointed to the models of Mr. Romney and George W. Bush, two state chief executives who committed themselves, early on in their governorships, to the rigorous study of global affairs. Mr. Romney invited specialists like Frederick W. Kagan, a former military historian at West Point, to brief him in Boston, and he studied custom-made booklets with the names of world leaders. Mr. Bush held Sunday night conference calls with a team of advisers nicknamed the Vulcans, including Ms. Rice, Stephen J. Hadley and Paul D. Wolfowitz. Ari Fleischer, Mr. Bush’s former press secretary, said there was a narrow window for a candidate like Mr. Christie to immerse himself in the subject, before the rigors of a campaign begin. “It becomes essential,” Mr. Fleischer said. “If you make a mistake, particularly later in 2015, and certainly in 2016, it will become magnified way beyond the mistake itself. “This is the time to do it,” he said.